Since 1931, the Swiss Vitamin Institute maintains a key international position in the analysis of vitamins in food, pharmaceuticals, cosmetics and biological samples. Its certification service combined with the use of the SVI seal represents added value that helps its customers to grow their business. 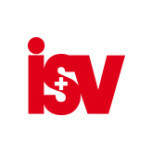 The Swiss Vitamin Institute is an official control laboratory for vitamins recognised by the Swiss Accreditation Service (SAS), the Institute for Reference Materials and Measurement (IRMM) of the European Commission, healthcare Swiss insurers. The SVI participates in inter-laboratory vitamin analyses validation with the Center for Disease Control and Prevention (CDC) in Atlanta, USA. The core expertise of the Swiss Vitamin Institute lies in the analysis of vitamins in food, pharmaceuticals, cosmetics and biological samples for medical diagnostics with state-of-the-art technology in an accredited facility based in Lausanne, Switzerland. The Swiss Vitamin Institute’s seal of approval program is a quality control service offered to companies to certify either the vitamin content or stability of specific products (food, vitamin supplements, pharmaceuticals, cosmetics). The Swiss Vitamin Institute teams up with research centers and companies to develop innovative analytical methods. It also participates in public health projects to understand the impact of diets, aging and diseases on vitamin status.